Huawei Mate 20 Pro first sale in India: The latest flagship is now available exclusively for Amazon Prime members starting today. Amazon Prime members can buy Huawei Mate 20 Pro at Amazon.in today, i.e. 3rd of December. It will be available for non-prime members from tomorrow onwards. The Huawei flagship smartphone has been priced in India at Rs 69,990. 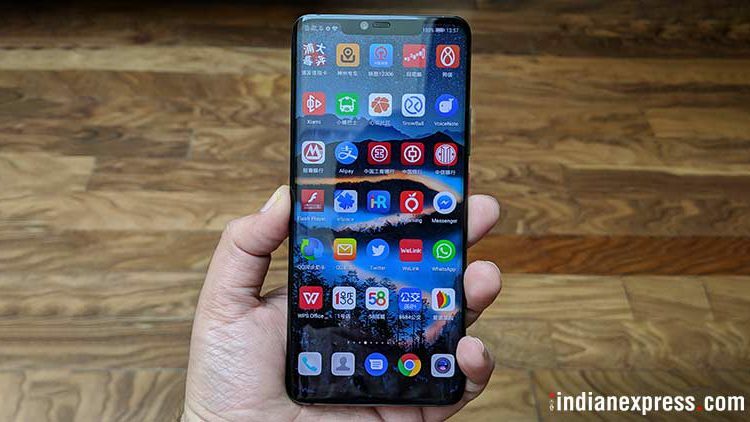 Amazon Prime account holders will be able to access special discounts of 10 percent, if they purchase Huawei Mate 20 Pro using IndusInd Credit/Debit cards or RBL Bank Credit cards, valid till December 5. All customers, though, will be able to purchase the phone via No Cost EMIs that is available across leading banks, and Bajaj Finserv till December 4. Besides, users can also bundle the Sennheiser PXC550 wireless headphones, worth Rs 29,990, at an additional price of Rs 2000. Those with Vodafone/Idea postpaid connections will also receive 20 percent discounts on Red/Nirvana plans from Rs 499 and above. Meanwhile, customers having prepaid connections of the same shall receive 1.1GB free data per day over 12 months or recharges, whichever ends first. This offer, though, stands for Huawei Mate 20 Pro owners who recharge with the Rs 199 prepaid plan. Featuring a 6.39-inch Full HD+ OLED display, Huawei Mate 20 Pro features a screen resolution of 1440 x 3120 pixels. Running the Kirin 980 processor, the smartphone is based on EMUI 9 over and above Android 9 Pie. It is backed by 6GB RAM, 128GB internal storage, and expandable memory through nanoSD support, up to 256GB. Huawei Mate 20 Pro is backed by a 4200mAh battery, which supports 40W SuperCharge fast charging, and 15W QuickCharge wireless technology. The phone’s biometric options include an in-display fingerprint scanner, as well as Face Unlock. Huawei Mate 20 Pro features a triple rear camera configuration within an L formation. It consists of a 40MP wide-angle lens of f/1.8 aperture, a 20MP ultra wide-angle lens having a f/2.2 aperture, and an 8MP telephoto camera with f/2.4 aperture, backed by dual LED flash. This setup supports autofocus and AI Image Stabilization. Besides, the phone also comes with a 24MP front camera of f/2.0 aperture, with a 3D depth sensor.